I just want to post this as a reminder that money isn't always tangibly placed directly in our hands when we work like this, but we can still get good results. I ordered a Money Drawing vigil from MISC & although I didn't get a huge win at the casino. I did end up with a bunch of points on my player's card because a guy there was beyond drunk & hitting on me, offering to split any big jackpot he won with me. Of course, I wouldn't accept something like that, but I did let him play on my card / machine & ended up cleaning up that way because the casino sends out free rooms & bonuses like food credits, etc..
Also, I managed to get an extra helpful Sallie Mae CSR, today. I had called because I can't afford to repay them at the moment, I was going to apply for deferment, but the CSR really wanted to help me & told me to apply for income based repayment (which puts me at $0 per month). This way I get to save my deferment / forbearance allotments (yes, there's a limit to those, folks) & won't be charged interest for the payments I now won't be missing (like I would on deferments). I just saved myself a ton of money that debt, now. See, this kind of stuff does work, just not always the way that we might picture. ETA: I also got approved for a credit account that's usually hard to qualify for & my credit limit was increased on another card. 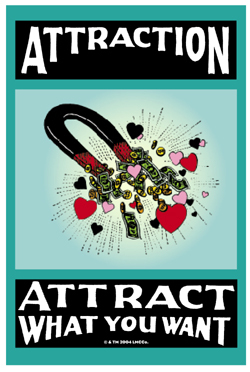 To attract money through gambling luck and in business matters. by clicking on the yellow Add To Cart button right here in the Forum. hi i ordered an attraction candle to be lit on the MISC altar with my specifications of the kinda of job i want to attract. i was wondering do you usually get any kind of confirmation via email that your candle has been placed on the altar or do you just wait for the candle report? this is my first time ordering from lucky mojo as well so im not 100% sure how everything works. i know i could call to find out but i live in the Caribbean so calling would be a bit pricey for me. Your Paypal receipt is your confirmation that they have received and the order. It will be about 24 hours (the next day) before they light it. After it has finished burning, you do get the emailed candle report and their suggestions. This has been my personal experience. To draw love, money, friends, or anything you desire and request. So today I got a sort of a warning letter due to past problems at work, mainly because it appears one of the managers has it in for me (though apparently she's problematic with many others too). I got really stressed she might be attempting to get rid of me, since it seems it's reaching personal levels. And I have emailed her superiors to meet with them and discuss this since it's not the first time. However, I got so scared I immediately ordered an Emergency Light lit for the situation, and also a Boss Fix, Steady Work and Master Key candles to be lit simultaneously. All with pretty similar petitions. A psychic did foresee this. It took me a moment to remember. And said it'd end okay. So now I'm calmer. I do want to make sure though I've acted right, these are the right candles and that having them lit won't harm my current "love" (well; Healing work on my intended) and Psychic Vision work on myself (these are three different things I'm currently working on I suppose, but they're all to attract good things so I'm hoping that's okay?). 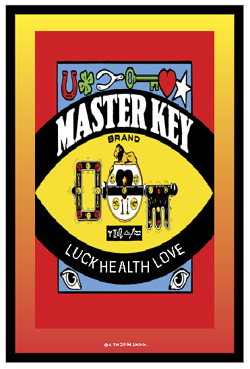 I see no reason why having Boss Fix, Steady Work, and Master Key candles set would interfere in any way with Healing and Psychic Vision. I do not believe you have anything to worry about. If your boss isn't right with you, bring him around to favour your cause. To find a job, get a job, and keep a job; to avoid being laid off. Said to powerfully aid one's ability to control situations and people. Thank you Nathen. I think I thought so because I was told to only focus on one area in my life when casting spells, but I suppose it could be different when these are candles lit by a professional. I hope I am posting this in the proper area. I haven't been having the best luck when it comes to seeking better career opportunities for myself. I've been at my current job for over a year and I'm tired of where I am at. I want to be in my dream industry but feel like I don't have the best luck. I sometimes luck up and get phone interviews but it always seems to end there. I want to get hired. I could be wrong but I'm beginning to think that I have blockages that are making it close to impossible to get hired and move on from my current position. Can someone suggest the proper candle(s) for my situation? Thank you! Used to blow apart blockages and obstacles that have been thrown in front of you. For desired results when taking tests, seeking a job, playing sports, etc. 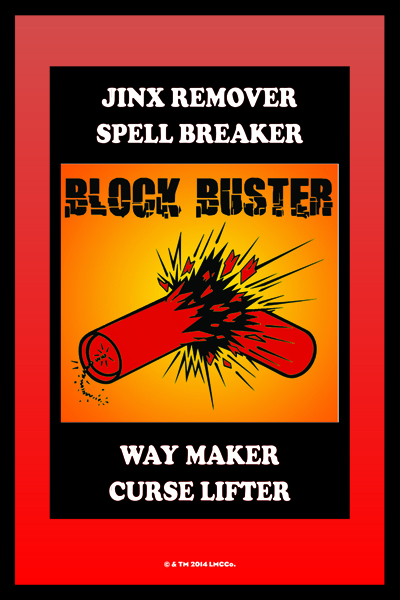 I love love love the Block Buster products!! 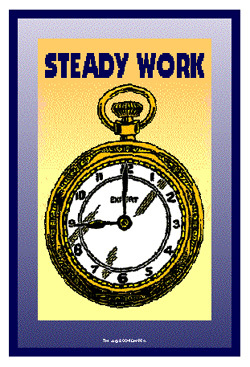 On the steady work link I noticed a lot of information on how to use the products during the application process and during the interviewing stages but would this be the right product to use once I've already gotten the job in order to secure the job and protect it. I have someone with no life who is constantly trying to make me lose good jobs and need something to protect my job. Would I use this product or just regular protection products or maybe a combination of both? I would definitely use a combination of both. I just got the final report on a burn of a three candle run of Good Luck candles. First two were hazy, third was clear but had a ring of unburned wax in the bottom. I'm a rather lucky person (as many readers told me and I agree) but already feel the effects of this burn and it's helping me immensely. Now I seek to continue this. I feel I generally want something to aid my good luck, be it another run of three Good Luck candles or perhaps something else. While mainly focusing on the work aspect (but not just... if possible). I want to get more training opportunities at my workplace, work experience, interest from superiors, appreciation/success etc. In the run of the last three I just wrote "I'll be lucky at personal life, work..." etc. But I wonder if there's a way to focus a little bit more on the work aspect (but still have affect on other aspects). And if so, which candle would be best for a run of three? I want to keep it simple, but continue giving it this push. 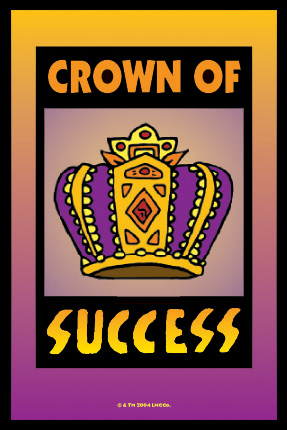 Since your last luck candle is good, I'd switch over to Crown of Success. That way, you're covering 2 birds with one stone: Luck and success! Anyway, I went ahead and ordered a run of three Crown of Success candles. Thank you Miss Aida. I would say it is still good! Keep going forward with that crown of success (probably one of my favorites along with King Solomon's WIsdom) and you should have success! A few days ago a co-worker of mine was explaining to us all how her son had been out of work for a while. He had a trade in mind and set out to apply. After months and months with no luck or leads, she decided she would light a steady work vigil candle for her son and place it on our altar. She is gifted in divination so she detected some road blocks in it's burning but believed he would persevere. So the following week she lit another, again she saw little but some resistance. She had faith things were opening up. In the third week she lit another candle (MISC calls this a run of 3 ) also from what I know the son continued searching for his job while this work was in progress. Almost towards the end she came in with beautiful news. Not only did the son get a job it was his DREAM JOB. And searching "o" so diligently. Made a mans work steady!!!! I am trying to relocate to Los Angeles to work in the entertainment industry. I am looking to work at production companies or entertainment companies and ultimately start working on set for television shows and film. Which candles would help me to get hired for all that I apply for before moving to LA. Moving before getting a job is a bit risky because I won't have the funds entirely. I do, however, have a place to stay with a friend. So, what can be suggested so that I can get interviews and ultimately get hired for the jobs that i apply for in LA? I would like attraction, Look Me over, and crown of success! Thank you, Miss Aida. In what order should I get these candles done? Great idea, miss Aida. I love those three candles used for this situation. I think that people are blocked by the names of Attraction and Look Me Over. They immediately think love or relationship work, mostly intimate. Used for this cause, for a business, I believe it will be a wonderful combination. I recently received a candle-setting order for a trio of business candles that gave a good impression when arrayed together on the altar, and I'd like to share. The client asked them to be set one per day for three days, so that they would overlap and at one point, tey would all three be burning bright. The outcome was three very clean candles, a sign of success. Of course we cannot guarantee that everyone's lights will burn cleanly, because circumstances vary so much, but I was impressed with the energy given off by this particular triad of candles, and thought it worth mentioning. I want to attract a new position to myself. I am a mid-level manager but turned down a recent promotion into a terrible role and now my company has decided that they would be sly and slowly delegate all of those responsibilities over to my plate anyway. This has been occurring for the last few months. I am looking now and have placed my resume out there to a few places. I am going to do some work myself but would like you all to back my work up. I was thinking attraction but what MISC candle would you recommend? If you wanted to make things work at your current place of employment, I would recommend that MISC set a pair of lights for you, Crown of Success and Boss Fix -- but it seems you are ast that and want to move on to a new company, so your idea of Attraction is good, and I would add to it a Steady Work candle as well. Best of blessings to you! I have been working with my company for six years and have made great contributions. My old boss just quit though, as well as her boss, and the person who has stepped in.... wants me out. I believe it is at least a little bit personal, she does not like the fact that I work from home (this was set up by my old boss), and there may be some retaliation going on because I have had to take FML this to take care of my elderly mother. Long story short, I found out she has already taken steps with HR to have my fired. It is not official yet, but I expect to receive my 30 day warning tomorrow or Monday. What she doesn't know is that I have been actively searching for a new job and have two excellent companies who are showing genuine interest. I started the day my old boss left (she is going to provide me with a reference). I do NOT want to tempt fate of course, and I want to take some protection steps to protect these fine prospects. If everything goes as I hope, I will likely have one and maybe two job offers by the end of next week. I would love nothing better than to beat her to the punch and resign before she can do anything. I want to protect myself from harm and keep her lulled and complacent, or, better yet, too busy and distracted to cause me any trouble. I want to also protect the possibilities that lie ahead. I have a St Expediate candle burning now for fast results with the other two jobs. It was the only candle I had on hand! Time is of the essence. Any advice? I'm sorry this is happening. It's very stressful but I understand your desire to beat her to the punch by resigning. This should get you started, and direct energies where you need them to go. I hope this helps. Good luck, and please keep us posted! Miss Athena, you are the best! Thank you for your reply, and I will contact MISC! I have plenty of honey on hand-- I can do this! Regarding MISC Candle Services: Your paypal receipt is your confirmation of payment and our receipt of your order. Your petition is included with the candles ordered and they will be lit within 24 hours -- generally one day after you order. They do take time to burn, and candle reports are only written on 3 days per week -- and the reports are sent to you via email. Thank you Cat! The stress around this has been just awful, and this really does help. Thanks! Placing my order today!! The Boss fix spell is at the very least buying me time. Though my boss threatened to put me on a performance improvment plan (PIP) on 1/7, she has so far not gotten around to doing so. She has just been too busy to think about it. The PIP is precisely what sets the clock for an employee getting fired. Though it is supposed to be about "performance improvment," the wisdom is that it is a formality they go through to protect themselves from wrongful termination suits. Once she files the papers, I have 30 days. But at this point, who knows when or if she will actually do that. I am lying low and keeping my head down and meanwhile doing my utmost to not give her any excuse to revisit this idea. I have aggressively interviewed at two companies, and the interviews went splendidly. Very, very positive feedback, multiple interviews, and one employer has already asked me for my references. I have done everything I can and at this point the only thing I can do is wait to hear back. It is *painful*. But I must be patient. Thank you MISC for all of your help! Thank you for keeping us updated on your situation; we are all "rooting" for you! Thank you Sister Jean! 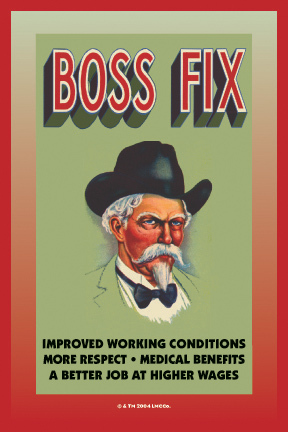 I am working my tookus off to prevent my boss from firing me and also, for the long term, to find a better livelihood. I truly believe that something good will come out of this. Thank you so much for good wishes! I hope you don't mind the update-- it is intertwined with needing a shift in advice and approach and I would love to hear anyone's thoughts. It is pretty certain at this point that I am definitely losing my job. I am past the grief stage, past the sackcloth and ashes, and I am now doing my utmost to focus on the positive and where to go next in my career. The fact is, I actually do have some good opportunities-- none of them really pay much, but that could change. What would you suggest for a moving-on-from-job-loss-and-betrayal spell? To open up the roads for new opportunities that will be good for me? To not just see the bright side but MAKE the bright side actually happen? Thank you again for your good thoughts and wishes. I bought some candle services from MSC and will probably do that again. It truly has helped. Being mistreated at work is unfortunately not uncommon and if you did desire you could likely hire a lawyer and sue them for the practice. Many companies break laws and are liable. Court case would be great for this work if you did decide to use this path. I personally see using court as a way of making things right, not only for me but others who will be harmed by these same people after me ( and likely those before me). I would wear stop gossip oil to stop them from spreading lies and hurting your reputation, also if they do speak them they will not harm you. I dress my feet and shoes with devil shoe string in oil as I pray for the evil sent to me fails, that the devil and his workers fail. Dress your body with fiery wall of protection, this should be done daily. These will help protect you as you move forward. Miss Cat discusses writing Psalms 91 on a piece of paper and wearing it in your shoe with a pinch of pepper and salt, I 5 spot it with fiery wall of protection oil. Looking for a new job, I would cleanse you, your house of negativity using a spiritual bath and Chinese floor wash, followed with dressing the house with house blessing oil ( burn on candles) and burn the incense in each room, I also like blessing for this work to draw in new good helpful energies. An attraction spell with steady work and crown of success to get a new great job. This can be done through 7 knob candles, a figure candle, mojo, combination of workings. Dress items you submit with the sachet powders, such as applications, resumes. Psalms 23 is recited to draw good things to you as well. 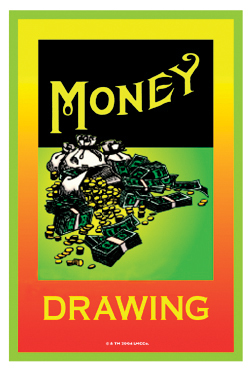 You can also use wealthy way or money drawing with the mixture to get a job that pays more and what you need to pay. Carrying gravel root in your pocket with salt while you look for employment is a powerful item to carry while seeking a job as well. Beautiful! Wow, thank you so much!! I will read up on all of this!